Can’t ever say that I envisioned blogging about mushrooms…but here I am!! 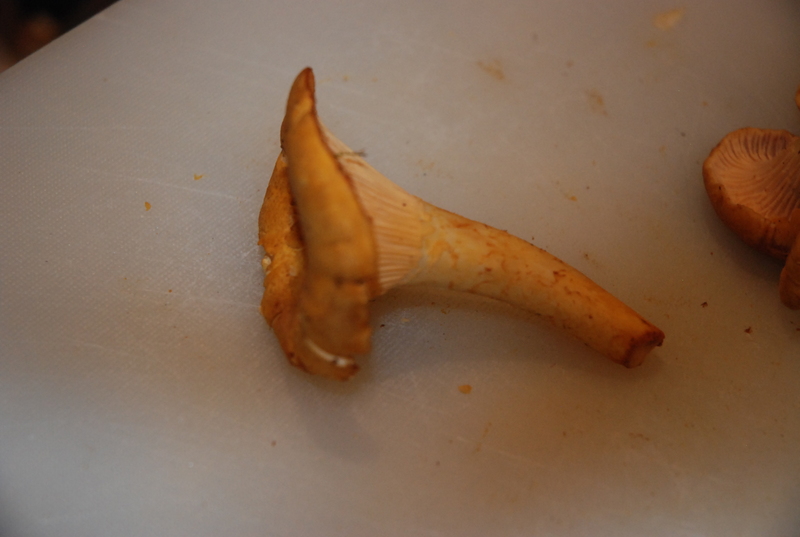 I have been experimenting a bit with Chanterelles and have found that they are pretty special! Why? Their distinct appearance, flavor and aroma give them a boost into the exotic category. And, taking it a step further, I found that my initial assumption that mushrooms were kinda a zero on the nutrition scale was completely wrong! 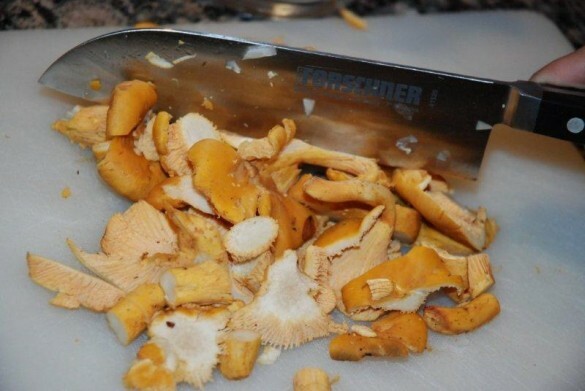 The chanterelle is loaded with vitamins B, E, D, and K. They also contain more protein than most vegetables and have trace elements of selenium, potassium and iron. Who knew??? Plus..they’re in season NOW! If you happen to cross paths with these tasty little jewels, here’s a recipe you need to try. 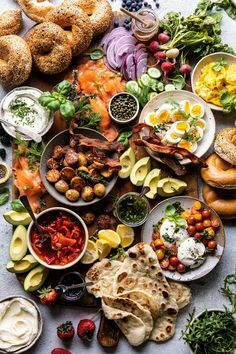 Perfect for entertaining..and easy, easy, easy!! In a medium pan, melt 1.5 oz vegetable, oil, add onion and garlic, cook until transluscent, add chanterelles, and cook for 3 more minutes. Add potato and stock, cook until potatoes are very tender. 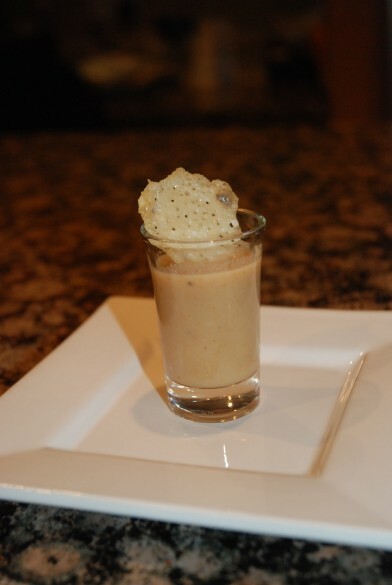 ** You can add some cooking sherry for more flavor if you like! Puree the mixture and adjust the seasoning (I use my hand blender). Pour into shot glasses. 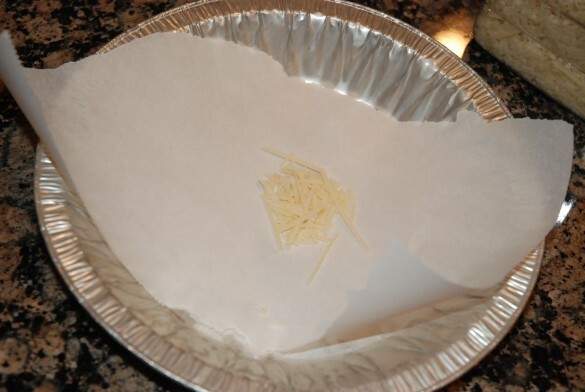 Making the Parmesan Crisp...cheese, parchment paper and you're set! Hope this has inspired you to embrace those ‘shrooms! !